It’s a new beginning for the iconic series that explores all of space and time, as award-winning actor Peter Capaldi takes on the role of the mysterious time traveler, the Doctor. BBC AMERICA will launch Peter Capaldi’s first season of Doctor Who with special programming on the channel and theatrical events across the country with Fathom Events. 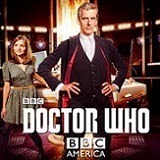 The new season of Doctor Who premieres Saturday, August 23, 8:00pm ET on BBC AMERICA. 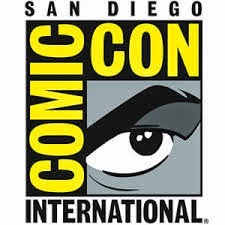 New York – July 31, 2014 – Announced today, comedian and Doctor Who superfan Chris Hardwick will host Doctor Who: Live Pre-Show at 7:30pm ET and Doctor Who: After Who Live at 11:00pm ET following the premiere of Intruders on August 23. The pre-show and post-show will feature an array of guests in the studio including writer and actor Mark Gatiss along with exclusive behind-the-scenes footage. Doctor Who’s feature-length season premiere episode, Deep Breath, is a pulse-racing adventure through Victorian London. Directed by Ben Wheatley and written by Steven Moffat, the episode stars Peter Capaldi as the Doctor, Jenna Coleman as his companion Clara Oswald, Neve McIntosh as Madame Vastra, Catrin Stewart as Jenny Flint and Dan Starkey as Strax. In the lead up to Doctor Who’s new season, BBC AMERICA will premiere a series of specials including Doctor Who: The Ultimate Companion on Saturday, August 16, 9:00pm ET followed by The Real History of Science Fiction: Time at 10:00pm ET and Doctor Who: The Ultimate Time Lord on Monday, August 18, 10:00pm ET. The Doctor Who Takeover Week marathon will kick off Monday, August 18, 8:00am ET. 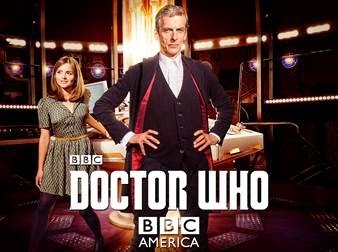 Starting August 6, BBCAmerica.com will give fans a chance to vote for their favorite Doctor Who episodes - the top selections of this “Make Your Own Sunday” poll will run in a BBC AMERICA marathon on Sunday, August 24. Announced today, BBC AMERICA and Fathom Events are teaming up again for two days of theatrical screening events of Doctor Who Season Premiere: Deep Breath in the U.S. This electrifying episode will be shown in select cinemas across the U.S. and will also include 15 minutes of cinema exclusive bonus content. On Saturday, August 23 at midnight, there will be 12 theatrical events in 12 cities at 12am/midnight to celebrate the launch of the new season. More information will be announced on August 5 atwww.FathomEvents.com. On Monday, August 25, the celebration goes nationwide with two showings at 7:00pm and 9:30pm (local time). The event will be presented in more than 550 select movie theaters around the country through Fathom’s Digital Broadcast Network. Tickets are now available for Doctor Who Season Premiere: Deep Breath at participating theater box offices and online at www.FathomEvents.com. For a complete list of theater locations and prices, visit the Fathom Events website (theaters and participants are subject to change). Ahead of the new season premiere, Doctor Who: The World Tour will see the stars visiting seven cities across five continents in 12 days to publicize the upcoming season. Details about the New York visit on August 14 will be announced in the coming days. More information on the itinerary for Cardiff (UK), London (UK), Seoul (South Korea), Sydney (Australia), Mexico City (Mexico) and Rio de Janeiro (Brazil) is available on www.doctorwho.tv/worldtour. Doctor Who is BBC AMERICA’s highest-rated series, has set social media records and received numerous awards including last year’s Institutional Peabody Award. The series has enjoyed success off-air with more than 10 million DVDs and 8 million action figures sold globally and is the BBC’s top series on iTunes in the U.S. and UK. Doctor Who is a BBC Wales production for BBC One and distributed by BBC Worldwide.